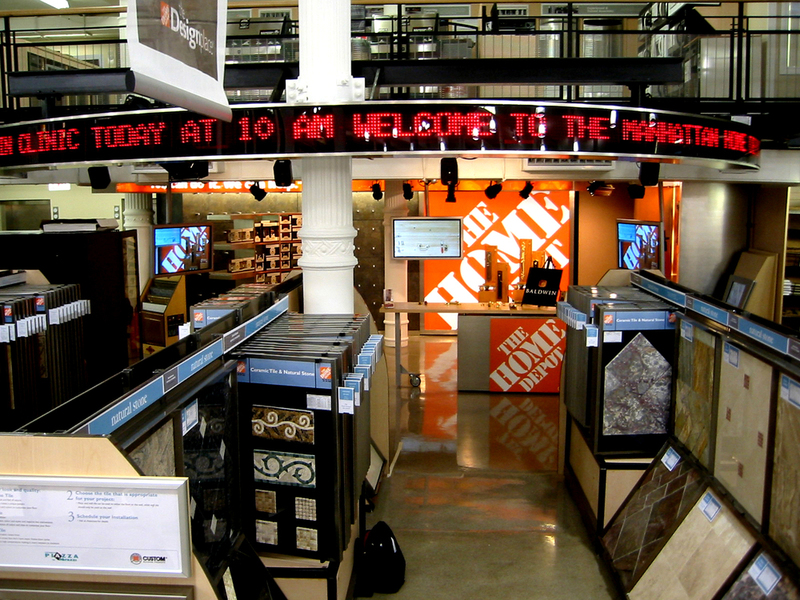 As part of the first Home Depot Flagship store in Manhattan at 59th Street and Lexington, a customer demonstration clinic area was designed as an integral part of the do-it-yourself customer experience and promise of The Home Depot brand. 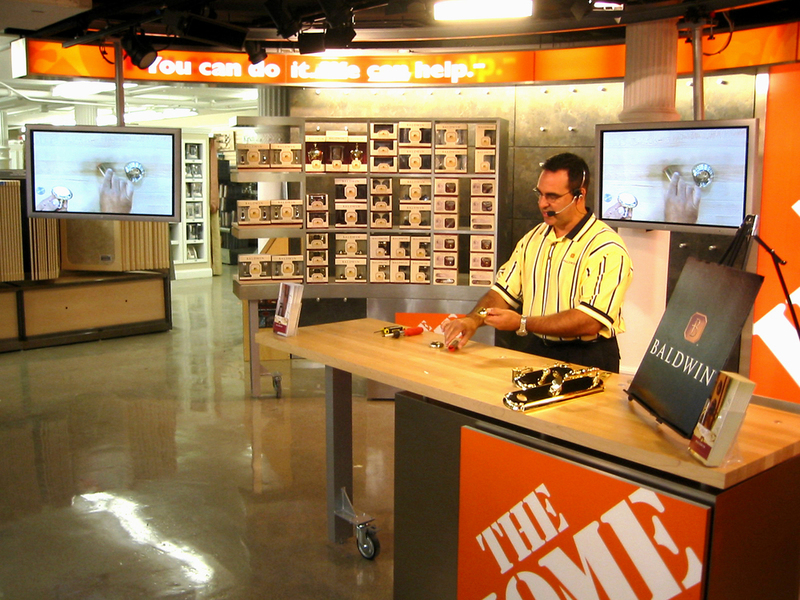 The clinic features live-audience demonstrations of home projects which are captured on camera and broadcast via closed-circuit television within the store. 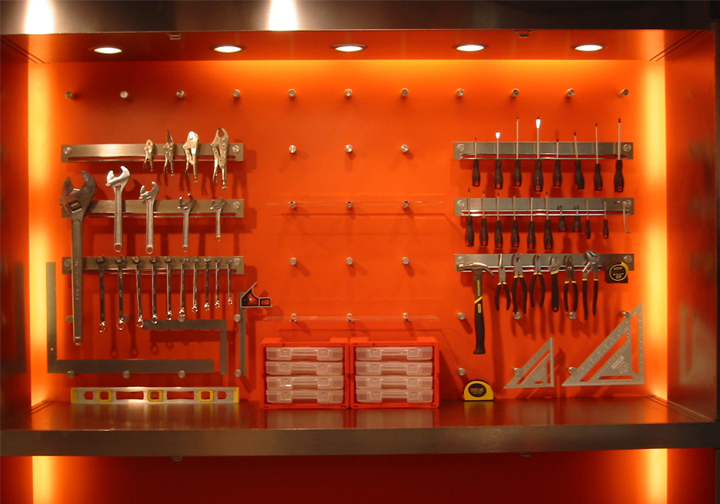 Main components of the clinic include a tracking panel wall display system, demonstration table, toolbox area, and tracking plasma display monitors, cameras and LED ticker.